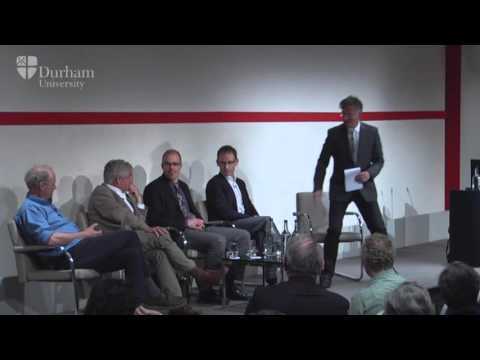 On the Tipping Point: The Annual IAS London Event at ICAEW, London on 4 June 2015. Throughout our lives we are all immersed in multiple processes, participating in social, intellectual, biological and material flows of events. Emergence – the appearance of novelty – occurs in all of the systems we inhabit, at local, global and cosmic scales, at microscopic and macroscopic levels. Sometimes emergence manifests itself as emergency, disrupting stable arrangements and tipping humans or other species into a state of crisis. Sometimes ideas, things or properties emerge that offer new hope and new possibilities. This theme opens up ways to explore how and why emergence occurs, seeking to understand causality, emergent events and their effects by bringing together diverse perspectives from the social and physical sciences, the arts, and the humanities. In this sense the theme encapsulates the core aims of the IAS: by fostering interdisciplinary collaborations and sharing the distinct strengths of different approaches to research questions, we seek to enable the emergence of novelty in intellectual debates. Emergence is a major focus of interest in science and philosophy, where debates centre on the potential for ‘strong emergence’: the appearance of novelty in the world in the form of new properties, objects, laws or causal powers. What does it mean and how do we recognise emergence in the human mind, in physical or chemical processes, or in social, biological and ecological systems? This sub-theme includes a major interdisciplinary research initiative already underway in Durham, in which scientists and philosophers will re-examine debates over reduction and emergence. The collaboration will advance both groups’ understandings of what emergence could be, and how it might be explained in physical terms. There are major qualitative and quantitative challenges in tracing causality through complex, non-linear systems, and in defining the emergence of coherent phenomena, for example in biological and physical systems. Another sub-theme activity therefore focuses on the non-linearity of energy transfers in cells and how insights into their emergent behaviours advances understandings of how living organisms evolve and protect themselves against disease. While the physical sciences ask questions about causality, the social sciences tend to discuss human, non-human and material agency. How can they work together to address emergence in relational systems to consider, for example, the dynamic interactions between social and biological events, or between human and material processes? The activities in this sub-theme also include efforts to consider emergent interspecies relations and engagements between societies and their material environments. Both material and social processes are often fragile, relying on complex checks and balances and having variable potentials for resilience. Emergence can be destructive, manifesting as emergency, and sometimes it is possible to define a series of tipping points or a single critical event. Research on populations charts booms and crashes, survivals and extinctions, but understanding drivers and tipping points is a greater challenge, requiring multiple disciplinary approaches. There are often recursive relationships between physical and social emergencies. Landslides, tsunamis, floods, earthquakes and epidemics readily spark political and economic crises. Human behaviours – resource consumption, land use and so forth – may create the conditions for emergent events in climate and ecological systems. Activities under this sub-theme build on a major Durham project concerned with Tipping Points, carrying forward work on mathematical and computational modelling of complex systems (such as climate, financial markets and energy systems). Related sub-theme activities will consider the policy relevant questions that occur when models show dramatic potential discontinuities that may completely transform their behaviour, with a view to identifying the uncertainty and robustness of models, predicting tipping points, and assessing the relative resilience or fragility of systems. As well as modelling emergence itself, researchers will also consider the need for practical measures, such as effective interpretation and mediation, as rescue operations and task forces respond to emergent situations characterised by disaster and threat. How we define ‘emergency’ legally, socially and politically enables particular regimes of governance and securitization. Thus an activity under this sub-theme considers how ‘emergency’ provisions may allow governments to suspend human rights obligations and embark upon aggressive or intrusive state actions, raising key questions about statist conceptions of emergency and their legal implications. Political movements, counter-movements and new orders emerge and sometimes re-emerge, through the tipping points of revolution and radical reform or through more incremental developments in socio-technical systems. Sub-theme activities focus on the ways in which ideas and discourses emerge in response to crises or in efforts to avoid or suppress them. They also consider how, in our everyday lives, ideas, products, new technologies and knowledges emerge and sometimes disappear, depending on a prevailing zeitgeist, or on processes of diffusion and adoption. They examine, for example, the effects of the emergence of innovative ideas and technologies in the energy industry, where rapid changes are being induced by pressing environmental and energy security concerns. Emergent religious beliefs, languages, visual images, ideologies and scientific understandings: all have the capacity to disrupt and change existing orders. One of the activities under this sub-theme examines the capacity of foundational documents such as the Magna Carta or the American Declaration of Independence to initiate social change. And sometimes novel events are only visible in retrospect, opening up questions about how historical analyses can illuminate emergence over time. The same could be said of much longer time frames, in which hindsight may allow science to reveal emergence in the distant evolutionary or cosmological past, and perhaps predict it in the future. Emergence has generally been investigated in major systems, or with respect to materials. But there is also potential to consider what emergence means at a human level, in relation to phenomenological and affective experiences. How do visual images, sounds, artefacts, texts and ideas, engender emergent responses – a sense of wonder, a flash of religious or scientific enlightenment – that radically alter a person’s thinking, their emotional engagement, their actions? How and why do novel beliefs and behaviours emerge in groups? Why do some flourish whilst others wither? And given the plasticity of the human brain, and its sensitivity to changes in pattern, how do emergent experiences affect neurological, biological and developmental processes? Activities under this theme include investigation into the role of quantum theory in consciousness, and the notion that the selection of single thought processes may be analogous to emergence. This complements another project examining the epistemological, ontological and methodological issues raised by interdisciplinary exchanges about ‘brains in the making’. Responding to debates about critical neuroscience, this emphasizes the importance of diverse disciplinary entanglement in the development of new collaborative methods. The sub-theme activities focus on human experience therefore draw particular attention to the ways that experiences of emergence provide a bridge between human and natural science epistemologies, underlining the importance of drawing on the strengths of all areas of scholarly endeavour.